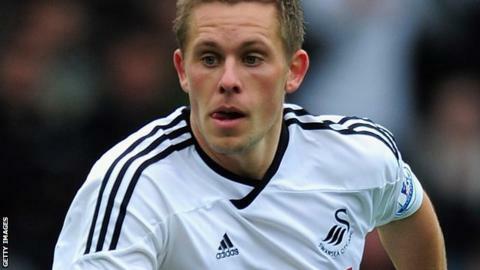 The Swans have confirmed a club record transfer fee of £6.8m has been agreed with the German club for Sigurdsson. The Iceland international is expected in Swansea later this week to undergo a medical before the move is completed. Sigurdsson joined Swansea in January on loan from Hoffenheim until the end of the season. The 22-year-old impressed during his spell at the Liberty Stadium and scored seven goals in 17 starts. "The club are delighted to have agreed terms with both player and club following Sigurdsson's hugely successful loan spell last season," the club said in a statement on their official website. Hoffenheim signed Sigurdsson in 2010 for £6.5m from Reading, Swans boss Brendan Rodgers' former club. Swansea's initial bid, thought to be close to £4m, was rejected by the Bundesliga club, who are keen to recoup the fee they paid for Sigurdsson. The Welsh club earned £45.9m from television and prize money during their first season in the Premier League, finishing 11th in the table, and so have funds to strengthen the squad. Sigurdsson said in April he would be happy to stay at the Liberty Stadium beyond the end of the season. But Swansea chairman Huw Jenkins had admitted the Welsh club would struggle to keep hold of the midfielder.